In order to maintain a high level of service to our participants, the Department of Campus Recreation enforces a Code of Conduct that all participants must follow. The Campus Recreation staff appreciates your cooperation in creating a friendly and positive environment for recreation and social opportunities in all facilities. Treat the Campus Recreation staff and facilities with respect. Act with character and courtesy while respecting the rights, welfare and dignity of all others in Campus Recreation Facilities. Adhere to the rules & policies set by Campus Recreation & the University in its facilities and programs. Participants engaging in inappropriate behavior or violating Recreation/University policies in the Recreational facilities may be subject to have their privileges of participation revoked and could face possible University disciplinary action. 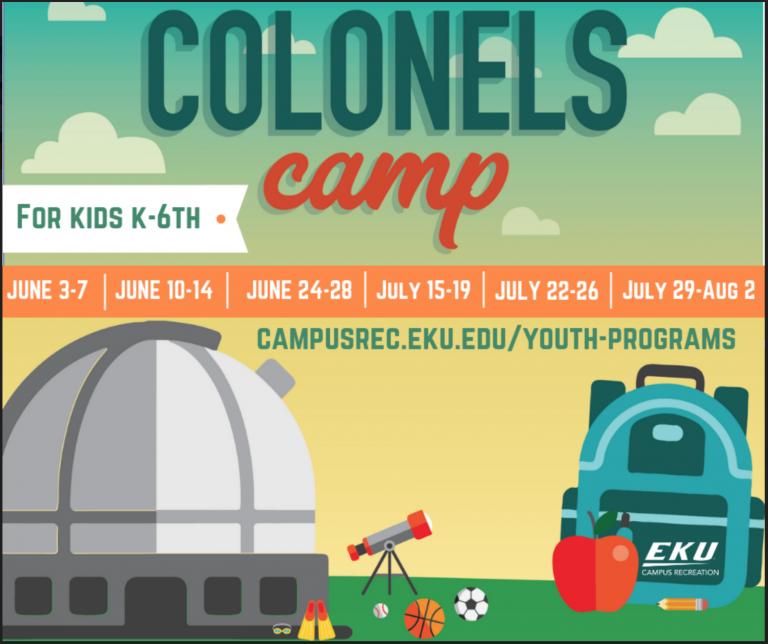 Participation in Campus Recreation programs at Eastern Kentucky University is completely voluntary. Individuals participate at their own risk and assume full responsibility for their own health and safety. Each participant or observer DOES HEREBY INTENTIONALLY, KNOWINGLY, AND VOLUNTARILY RELEASE, WAIVE, DISCHARGE, INDEMNIFY, AND AGREE TO HOLD HARMLESS Eastern Kentucky University, its employees, regents, and volunteers from any claims, actions, suits, or other legal action brought as a result of a claim arising from injuries sustained during participation in or observation of any Campus Recreation activity. It is strongly recommended that all participants consult a physician and/or have a physical exam prior to participation. Eastern Kentucky University does not provide personal accident/health insurance. Therefore, participants are strongly encouraged to secure their own adequate health coverage. The Department of Campus Recreation is a unit which falls under the jurisdiction of Student Affairs. The Director of Campus Recreation reports to the Associate Vice President for Student Affairs and that position reports to the Vice President of Student Affairs. A Recreational Sports Advisory Council (see below) is a recommending body that serves in an advisory capacity to the Director of Campus Recreation. The council reviews policies, procedures, programs, and space allocation within the department to ensure the focus remains on student recreation. The council is made up of two faculty members, one staff member, and four students. One faculty member and at least one student member must be from the Department of Recreation and Park Administration. The council is overseen by the Director of Campus Recreation, who is not an active member. 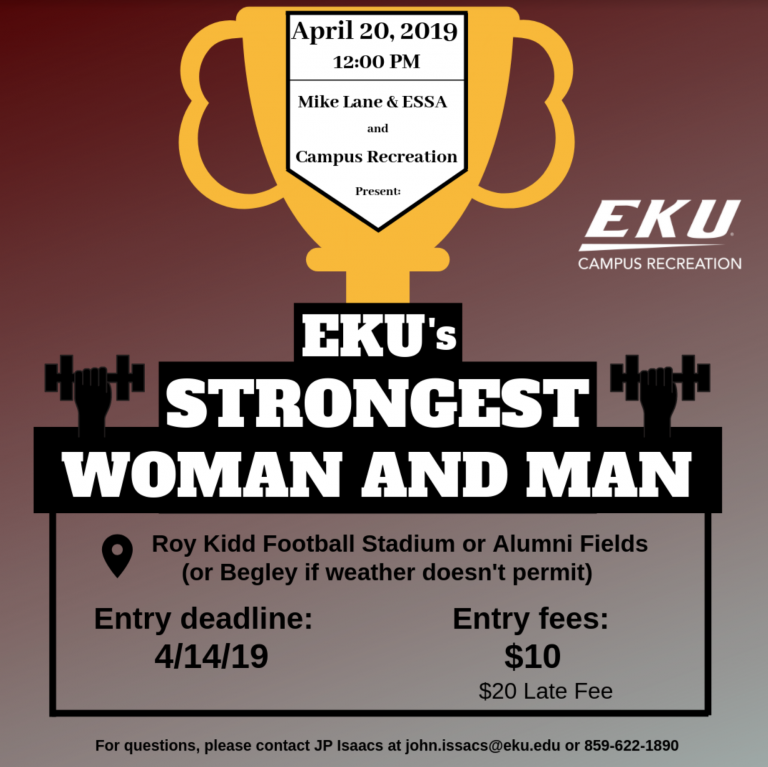 Any participant who threatens a Campus Recreation staff member in any manner will automatically be suspended from all Campus Recreation activity for the remainder of their academic/professional career at EKU. Any verbally abusive attacks directed towards a Campus Recreation staff member will be placed on automatic probation for one year from the incident and suspended from all Campus Recreation programs and services for one year. Each case will be reviewed on an individual basis. ** Shoving or striking a staff member of Campus Recreation, Campus Recreation participant or spectator. ** Campus Recreation student staff members are employees of the University. Any attack on these employees, will be charged the same as all other University employees. ** Verbally abusing, baiting or harassing a Campus Recreation staff member, participant, or spectator before, during or after participation. ALL ACTS THAT ARE CONSIDERED VIOLATIONS OF THE UNIVERSITY’S STUDENT REGULATIONS SHALL BE REFERRED TO THE OFFICE OF STUDENT RIGHTS AND RESPONSIBILITIES FOR DISCIPLINARY ACTION.